This new adult retelling of Wuthering Heights is intended for mature readers due to explicit sexual content and coarse language. And give new life to the Bronte characters you love to hate. A gypsy orphan, Heath Galloway adores Cathy Earnshaw, his childhood sweetheart. He would do anything to protect her from her drunken, abusive father--even push the man down a flight of stairs to stop him hitting her. But with her father dead, Cathy's older brother Matt runs the Earnshaw farm and both of their lives. And Matt despises Heath. Forced to drop out of school and work the fields, Heath is separated from Cathy and the two begin to drift apart. When Cathy meets the rich, blond, and suave Eli Linton, she finds herself torn between Eli's charm and Heath's brute potency. Fiercely proud and stubborn, Heath doesn't take well to being brushed aside. He'll get what he wants, or he'll get revenge. No matter how long it takes. V. J. Chambers likes bad boys, but she likes them to be actual bad boys, not misunderstood weaklings who cover up their emotional scars with a thin veneer of pretend bad-boy-ness. She likes to tackle difficult philosophical questions. She likes to push fiction to the edge, to go just a little farther. She’s the author of the Jason and Azazel series and many other stories for teens and adults. 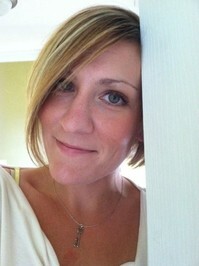 She lives in Shepherdstown, WV with her boyfriend Aaron and their cat. 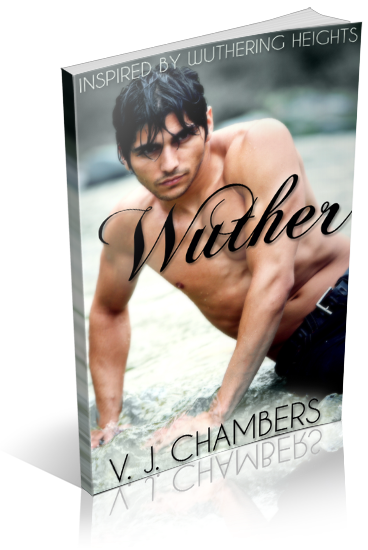 I am organizing a book blitz for Wuther by V.J. 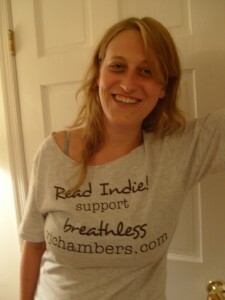 Chambers, a New Adult Wuthering Heights retelling. The blitz runs from July 15th to July 19th, you can post on any day during this window. There will be excerpts and guest posts available for your post, and every participant will be able to host a giveaway for one eBook copy if you wish - giveaway copies courtesy of author. If you're interested in participating in this book blitz, fill out this form. An email with complete post info including promo items and giveaway details will be emailed to all participants a few days before the blitz.